Over the weekend my best friend and I explored Downtown St. Pete. Since she is moving to Texas in a few days, we wanted to walk around and have a fun photo shoot in the area that we both grew up in. We found some cute murals and textured walls to take photos by. 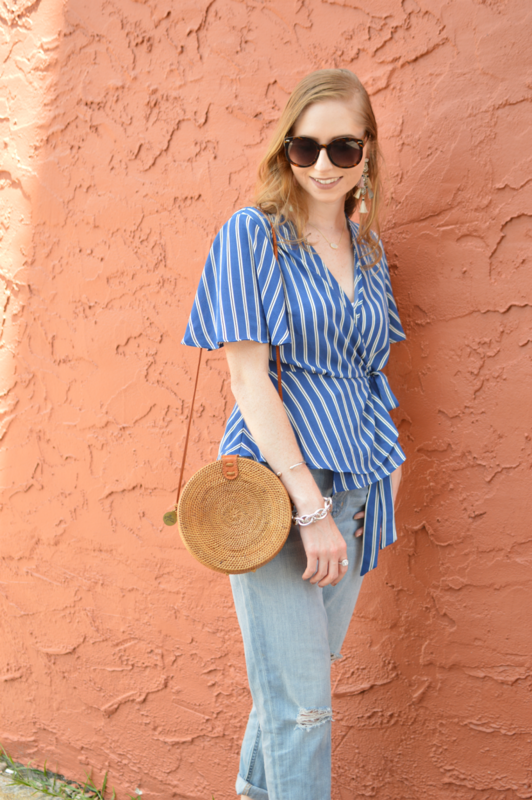 It was a scorching hot day, so although I simply adore my $20 BOYFRIEND JEANS, I couldn't wait to take them off and switch into comfy shorts! 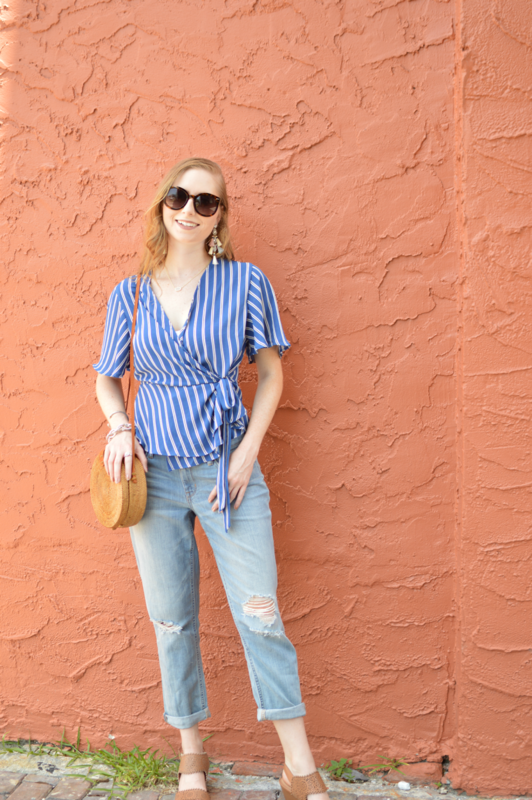 I've been on the hunt for tsome boyfriend jeans that are A) Not too baggy B) Straight-legged and C) CHEAP, and the ones I have on from JCPENNEY stood out among the rest. 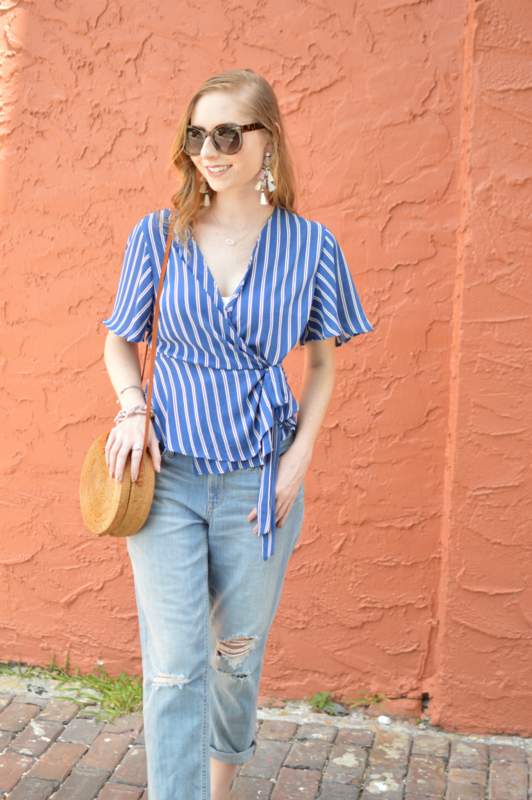 These are my perfecttttt pair of boyfriend jeans and I can't wait until the fall to wear them with booties and sweaters. 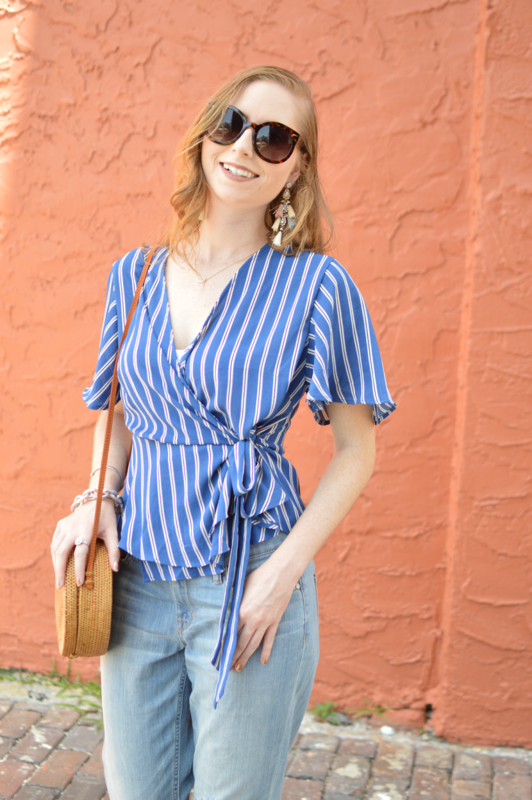 Also, if you haven't seen these gorgeous chandelier earrings on my blog yet, then I will take some time to boast about how much I love them today! First off, they are only $12. 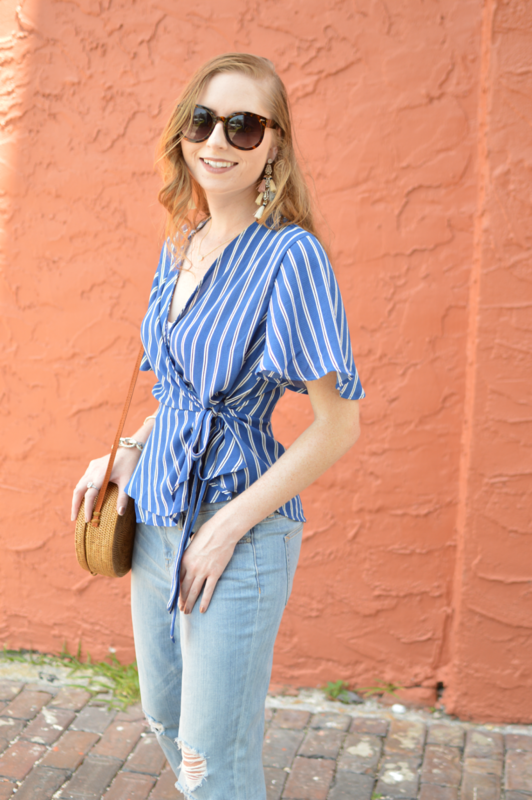 I have worn them with nearly every look this past week...everything from this look with casual boyfriend jeans to a dinner wearing a fancy black evening dress. From casual looks to a classy night out, these EARRINGS from Lulu's go with anything. They have pretty blush pink, white and blue mixed into them just to let you know! 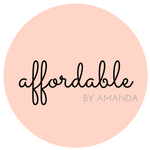 *Thank you for supporting Affordable by Amanda.